After being forced into service on a freight ship, a naïve teenager sails around the world, learning more about life than he bargained for. As a 15-year-old, Jack Sligo is a romantic dreamer; he wants to not only see the world, but experience it. So he ditches his safe, predictable life in Boston and travels to New York where he hopes to get work on a magnificent cruise ship sailing to exotic ports. When New York is a bust, Jack goes to Mobile, Ala., where he hooks up with a couple of seamen who take him out drinking and partying. Upon waking up the next morning, Jack discovers he has been shanghaied; for all intents and purposes, he is now a slave aboard a huge African freighter, the Iron Prince. Contending with hard men, each of whom has a tale of hard-won experience, foreign languages and harsh, tedious work, Jack rapidly matures into a young man. At a small port in Venezuela where he rubs shoulders with criminals, riff-raff and prostitutes, Jack participates in the shanghaiing of a cook. 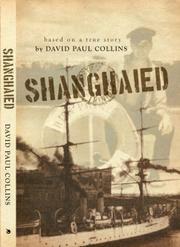 On the ship, Jack befriends a Jamaican named Winston, who was shanghaied at the age of 12. Always on the lookout for a way to escape, Jack and Winston engage in vicious knife fights, battle hurricanes and live through a shipwreck. At the story’s climax, when the ship heads to Odessa in the Soviet Union, Jack finally discovers who he is. Collins writes with authenticity, having lived the life he relates. With the author’s vivid descriptions, the reader can feel the men’s sweat and smell the stink of the ship. The dialogue is crisp and realistic, offering glimpses into each character’s personality. Collins’ effortlessly natural, nonjudgmental voice makes for an easy read. An entertaining, poignant coming-of-age memoir.